30-dec-2004: Main GBA dat release #1854. 29-dec-2004: Main GBA dat release #1843. We from the No-Intro crew wish you all a merry Christmas (or a happy Hanukkah for the Jewish people) and a happy new year. Once again we would like to thank everyone who helped us out this year. Main GBA dat release #1852. 23-dec-2004: Main GBA dat release #1851. 22-dec-2004: Main GBA dat release #1847. 17-dec-2004: Main GBA dat release #1841. Hopefully no more size/crc discrepancies in the Megadrive/Genesis dat, after the work of Gigadeath. Maybe still errors with Asian names. 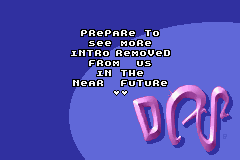 Daxter made an update of the OL No-Intro GBA dat according the changes in OL 0.7h. You have to download the new dat from the Forum and the new OL version, or the auto-update function will not work. As always we thank all the GBAF/OL datters for their support. Main GBA dat release #1839. A save patched release with a No-Intro info? It's possible, near the end of the year (and the world). BigFred cleaned it, providing us the pure version of #1838 (01EA98FC -> 128EDC4F). Updated: GB, GBC and SNES (NGEfreak). Main GBA dat release #1838. Main GBA dat release #1837. We changed a bit #1821 RS fix. Updated GBA Cracked with our "personal" #1821, with crc E33A5BE5. Main GBA dat release #1821. #1814 is overdumped (correct: 32Mbit), (gbarl.it). Main GBA dat release #1819. Main GBA dat release #1808. Main GBA dat release #1806. Big thanks (again and again) to Ania. Updated: GB and GBC (NGEfreak) and SG-1000 (BigFred). #1804 is overdumped (correct: 32Mbit), (Badablek). Main GBA dat release #1805. Pandylib gives us redump informations about Famicom Mini titles. More in Forum. #1795 is overdumped (correct: 32Mbit), (BigFred). All recent introed dumps can be fixed with GBATA (Dopefish). Main GBA dat release #1804. Main GBA dat release #1797. Updated: SNES, GB, GBC (NGEfreak). Main GBA dat release #1792. #1699 is underdumped (size: 4.194.304 - crc 4202A9CD) and #1712 is overdumped (size: 262.144 - crc 3DB7A213), (NGEfreak). #1790 is tagged by RS. Use IR function of GBATA to remove it (BigFred). Main GBA dat release #1790. Main GBA dat release #1787. Main GBA dat release #1786. 17-nov-2004: Main GBA dat release #1785. 16-nov-2004: Main GBA dat release #1775. 14-nov-2004: Main GBA dat release #1773. 13-nov-2004: Main GBA dat release #1771. Main GBA dat release #1766. Big thanks (again) to Ania. Updated: GB and GBC (NGEfreak). Main GBA dat release #1760. Big thanks to Ania. Updated SNES, GB and GBC dats (NGEfreak). Main GBA dat release #1756. Main GBA dat release #1753. Main GBA dat release #1749. Main GBA dat release #1744. #1728 new crc should be 1FA131E8, watching RS starting address. Main GBA dat release #1743. #1731, #1732, #1738 and #1739 are overdumped (correct: 32Mbits). #1737 is overdumped (correct: 64Mbits). Main GBA dat release #1741.
coolhj removed pirate intro from #1728. Please note that #1728 intro disabling isn't 100% definitive. Main GBA dat release #1730. 26-oct-2004: Main GBA dat release #1727. 25-oct-2004: Main GBA dat release #1723. GBATA removed pirate intro from #1720. Main GBA dat release #1722. #1719 Resized and clean crc: E1FFB2D1 (thanks to LlJcactus). The cracked one goes in GBA Cracked. Main GBA dat release #1719. Updated: SMS and SG1000 (BigFred). Main GBA dat release #1718. Main GBA dat release #1715. Main GBA dat release #1711. 14-oct-2004: Main GBA dat release #1710. 13-oct-2004: Main GBA dat release #1706. #0611 should be a BETA: Kill_Phantom redumped it and we got a new version that fixes some translation errors. New crc: 69EE551C. Old version with crc B24FA448 goes in GBA Beta dat. Main GBA dat release #1704. Main GBA dat release #1701. Just remove the intro with GBATA and fix the size to 4.194.304, new crc is B3993252 (thanks to BigFred). Main GBA dat release #1699. 06-oct-2004: Main GBA dat release #1696. 05-oct-2004: Main GBA dat release #1694. 04-oct-2004: Main GBA dat release #1692. Main GBA dat release #1690. Thanks to all redumpers that are helping us in these weeks, for example moammo, EZTO, Kill_Phantom. Fixed #1266 (D936B7E9 -> 764FAFB5) and #1448 (26EA5C87 -> DBD4A6CB), (BigFred). Redumped #0292 (938268AC -> 96488632), (moammo). Main GBA dat release #1689. Main GBA dat release #1686. It seems that Hyperion released #1672 and this was repacked by an independent (GIL, which means Gbatemp Is Lame). It seems that Gbatemp hacked and repacked GIL's release as "FuckeRS", a stupid attempt to diss us (writing "No-Intro forever" in the NFO). 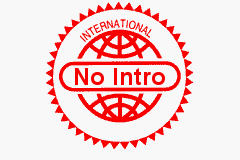 We have to clarify that No-Intro has nothing to do with both repacks. Sure GIL's repack was useless and "FuckeRS" was a lame retard. We consider the Hyperion's dump as the *good* one (crc 7B68D93E). Main GBA dat release #1673. Updated: Entex Adventure Vision, Fairchild Channel F, RCA Studio II (SolidSnake). Main GBA dat release #1671. 24-sep-2004: Main GBA dat release #1670. 22-sep-2004: Main GBA dat release #1666. Main GBA dat release #1658. EZTO confirmed #0842 and #1332. And gave us the clean crc for #1192: 0C01F3B8. Main GBA dat release #1657. Ok, time to alter some elite releases. #0244 (0E0A57F4 -> 45BB6F4E) and #1177 (20D8AE7E -> 4304BD2D), (NGEfreak). #0237 is 1 byte underdumped (1914C96C -> AD71F6FF), (The__Android). 18-sep-2004: Main GBA dat release #1656. 16-sep-2004: Main GBA dat release #1654. 15-sep-2004: Main GBA dat release #1652. 14-sep-2004: Main GBA dat release #1648. Dopefish released the ripped NES Metroid from "Metroid - Zero Mission" for GBA. We appreciate the greetz! Main GBA dat release #1646. The most important thing is that now Saibork has a girlfriend!! Main GBA dat release #1643. 09-sep-2004: Main GBA dat release #1642. 08-sep-2004: Main GBA dat release #1641. 06-sep-2004: Main GBA dat release #1640. Main GBA dat release #1639. Main GBA dat release #1638. Updated: SMS and GG (bigfred). Main GBA dat release #1637. Main GBA dat release #1636. We decided to turn back Famicom Mini releases to 32MBits. Even if they include repeated or useless data, that can be trimmed, this is the original size. Changed release #1562 to crc C2C22AF2. Main GBA dat release #1634. 26-aug-2004: Main GBA dat release #1632. 25-aug-2004: Main GBA dat release #1630. 19-aug-2004: Main GBA dat release #1629. Main GBA dat release #1627. Main GBA dat release #1626. Main GBA dat release #1625. Quickgold has found a problem in #1138, so bigfred fixed first coolhj's intro. New crc: 968be7bc. Updated: GBC (NGEfreak), C64 (bigmax). Coming soon: Commodore VIC-20 and Commodore Plus/4! Famicom Mini releases are overdumped (correct: 8 MBit). Main GBA dat release #1624. Thanks to relax, more (UE) tags were added. Thanks to the work of NGEfreak, bigfred, relax and others we provide updated undumped lists. Main GBA dat release #1610. 05-aug-2004: Main GBA dat release #1609. 01-aug-2004: Main GBA dat release #1601. #1598 is overdumped (correct: 32Mbits). Main GBA dat release #1599. GBA Additional dats (Beta/Cracked/e-Reader) have been updated in these days. Main GBA dat release #1597. Main GBA dat release #1593. Updated: GBC (NGEfreak) and GBA e-Reader. Main GBA dat release #1592. Updated: GBA Beta, GBA Cracked. New: GBA e-Reader. Lukeage disabled intro from cracked version of #1585 (new crc: 53757280). Main GBA dat release #1591. CharlieF redumped #0818. Patch (89137618 -> 63FE3DFE) online. Main GBA dat release #1583. 18-jul-2004: Main GBA dat release #1582. 17-jul-2004: Main GBA dat release #1581. 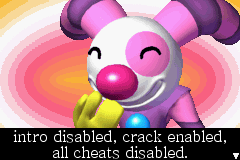 ROM managers: updated GBA for GbaFront (PInkie / Connie), GB for OfflineList (MadBob) and GBA for OfflineList (Daxter). Main GBA dat release #1578. #1571 is overdumped (correct: 32Mbits). Main GBA dat release #1575.
xxxc converted WS/WSC for OfflineList. Updated: GBC (NGEfreak) and Amiga Caps (SolidSnake). Main GBA dat release #1568. Updated: N64, Jaguar and A5200 (SolidSnake). Main GBA dat release #1566. Updated: GG and SMS (bigfred), Vectrex (Lukeage), StudioII (bigmax). MadBob converted GB dat for OfflineList. bigmax is working on a C64 dat. New: RCA Studio II (bigmax). Main GBA dat release #1565. 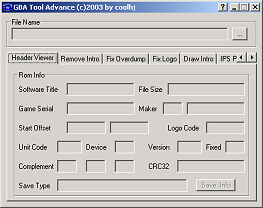 New version of coolhj's GBA Tool Advance! It contains: header viewer, intro remover, overdump fixer, header fixer, intro drawer, IPS patcher, SRAM patcher, rom trimmer, reboot/sleep mode, clock fixer (for Pokemon Sapphire & Ruby). Updated: WSC and GBC (NGEfreak), N64 (SolidSnake). New: NES dat (SolidSnake & BigFred). 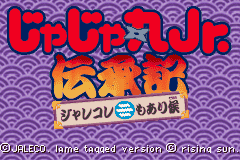 They still need help to find all unlicensed games / renaming japanese roms. New: Coleco ColecoVision, Emerson Arcadia 2001, Entex Adventure Vision, Fairchild Channel F, GCE Vectrex and Vtech Creativision (Lukeage). Main GBA dat release #1564. Main GBA dat release #1562. New: Atari 2600 - Alpha version (SolidSnake). Main GBA dat release #1560. 30-jun-2004: Main GBA dat release #1558. 29-jun-2004: Main GBA dat release #1554. 28-jun-2004: Main GBA dat release #1553. 27-jun-2004: Main GBA dat release #1552. Updated: Jaguar, Lynx and N64 (SolidSnake), GBC and WSC (NGEfreak), PCE, SG-1000 and SMS (bigfred). For OfflineList users: go to TOOLS / OPTIONS / ROM NAMING, push the >> button and change China from (Ch) to (C). Now download the latest DAT and everything will be okay again (lessram). Main GBA dat release #1551. 24-jun-2004: Main GBA dat release #1548. 23-jun-2004: Main GBA dat release #1547. We did both patches for #1542 (331B8286 -> E53BA082) and #1543 (3D51C755 -> F24C8E77). Updated: PCE, SG1000 and GG (bigfred), Amiga Caps (SolidSnake). Main GBA dat release #1544. 20-jun-2004: Main GBA dat release #1541. 16-jun-2004: Main GBA dat release #1539. Intro in #1535 can be removed with GBATA, release #1533 is overdumped. Main GBA dat release #1536. Main GBA dat release #1531. Welcome back (partly) Rising Sun, with a dump that contains the string "omg.109". advanscene reports an independent redump of #1525 (7BAA6891 -> 8CE6BCE8). Main GBA dat release #1528. SolidSnake is working on Genesis/Megadrive/32X. bigmax asks if someone is working on the bad naming of Amiga CAPS. Do you want to collaborate? Main GBA dat release #1526. Main GBA dat release #1523. Updated: SMS (bigfred) and Lynx (SolidSnake). Main GBA dat release #1521. Main GBA dat release #1514. Main GBA dat release #1511. #1506 is overdumped (correct: 32Mbit). We changed: #0922 (EB759C15 -> 25015475), #1442 (85B0A090 -> 7304DCA4), #1468 (C2C1248D -> F4634DBD). Main GBA dat release #1507. Main GBA dat release #1505. Latest Famicom Mini releases are overdumped (correct: 8Mbit). Main GBA dat release #1503. Lot of NGEfreak's name changes. New: VirtualBoy (bigfred) and SNES Beta (NGEfreak). Main GBA dat release #1491.
lessram updated GBA/OL with infos until #1488. You need to download it first to get Auto Update working again. We hope OL will support Korean flag (K) soon (#1476). New: NeoGeo Pocket and SNK NeoGeo Pocket Color (NGEfreak). Changed wrong numbers in main dat. We have some updating problems with OL dat... we hope we will fix them soon. Main GBA dat release #1488. Eternity redumped #1483 (D65385CC -> 9686C36B). The cracked, hacked, introed version goes to Cracked dat. relax did the undumped USA list. We changed #1307 (88513763 -> 023A9A75). Thrashman: what.a.lame.team! They tagged #1485 (997FD2C7 -> 52DE7123). Disruptor gives us a patch (D65385CC -> 32A66480) that removes the intro from cracked version of #1483, mantaining it playable. Main GBA dat release #1485. Main GBA dat release #1481. Thrashman tagged #1479, adding a childish string. Redump needed. 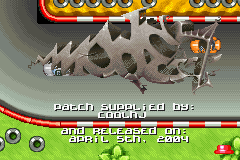 The patch that removes the string was done by coolhj (A3541A18 -> 6E936A54). Main GBA dat release #1480. New: SNES Beta (NGEfreak) and Megadrive (Gigadeath). Main GBA dat release #1478. A lot of titles are incorrect or incomplete and no undumped list yet: that's why it's still only a beta. Main GBA dat release #1476. Thanks to the_unknown, that helped us confirming the real crcs for #1473 (750D579D) & #1474 (26A4EE5C). "if it makes you happy i can confirm that these crcs are correct" <= lol! we are happy! The different crcs from our first remove confirms that Rising Sun fucks up the releases A LOT. Oh, yeah, max respect for this! Redumps (coolhj) are out and the patches too (81CA07A2 -> 750D579D), (4156BB4D -> 750D579D), (3BA750C1 -> 26A4EE5C), (8E8AD1D1 -> 26A4EE5C). Updated: GBC (NGEfreak), N64 Beta (SolidSnake). New: NES Release Candidate 3 (SolidSnake). ferchl wrote GBA-Update, a tool that automatically updates the data files for various GBA ROM management/shell programs. Main GBA dat release #1475. As you can see, Rising Sun's hack was removed by coolhj. Clean #1473 (81CA07A2 -> 4156BB4D) and #1474 (3BA750C1 -> 8E8AD1D1). Updated: SMS and PCE (bigfred). Main GBA dat release #1474. 28-apr-2004: Main GBA dat release #1469. 27-apr-2004: Main GBA dat release #1468. Updated: GG, SMS, SG1000 (bigfred). New: Neo Geo Pocket (CrossFire). New: PCE (bigfred). Coming soon: SNES (NGEfreak) and NES (SolidSnake). Credits for the latest name changes go to SaiBork, NGEfreak and all the users that posted infos in the Forum. 24-apr-2004: Main GBA dat release #1467. 22-apr-2004: Main GBA dat release #1461. 21-apr-2004: Main GBA dat release #1457. The work of Connie on GbaFront dat continues, the file is updated until #1456 with fixes and more game release dates filled. lessram is converting GBC for OfflineList. #1420 is cracked and contains the string "rscannotbewithoutme" (Dopefish). From the redump we got the new crc (2A7589D2 -> D0E79665). New version goes in main dat, Rising Sun's hack is now in Cracked dat. Redump of #0479, new crc 40A0E1C9 (Dopefish). kazumi213 brings us a nice list that helps to find undumped country dupes. Main GBA dat release #1456. Recent redumps were released by GB ADVANsCEne. Latest two confirm #1258 and bring the new crc for #1281 (820C9DE9 -> EBD928ED). #0922 is overdumped (correct: 16 Mbit, EB759C15), (bigfred). Our original IRC channel is back! Main GBA dat release #1453. 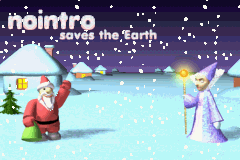 Main GBA dat release #1452.
coolhj removed pirate intro from #1448. IPS online (51843C2E -> 26EA5C87). Another redump needed. Main GBA dat release #1450.
bigfred cleaned #0459 (2D6B8661 -> 68AE6BBB). bigfred and Dopefish worked again on #1004: new crc 3B098667. #1229 was redumped, thanks to the IND dumper (E0B2EBBE -> 6F8BFDBC). #1438 is overdumped (correct: 8MB, 4A7DE98E), (bigfred). Main GBA dat release #1447. We have to do a little change in #1004. Patch online (DE925985 -> 8D942393), redump needed (Dopefish). lessram and Connie continue updating GBAF/OL dats. Main GBA dat release #1444. Cool! skybaby, from GARP Project, wants to merge his dat with ours. OfflineList author, Replouf66, has stopped his dat and now only accepts ours. Great news from Advanscene too: they use our dat. All these infos will be official when they'll update their website. Finally no more confusion, only one dat, only ours, we will dominate the earth! PocketHeaven changes the list removing unlicensed/hardware dumps, and now advance-power, advanscene and we have the same numbering. To simplify PocketHeaven's "work", GBA publishers will add the release number after the game serial. A new linker, officially licensed, is in shops: the main feature is that when it dumps a game, it writes the nfo too. As now it only writes iND-nfo, but elite coders can alter it adding elite-greetz and elite-ascii-art. Rumors say that Trashman's trainers contain a secret code that can improve your vital parameters in the real life. Main problem is that the trainers are "internal gbatemp copies" and noone can leak them. We all know, future handheld will have two separate, back-lit 3-inch TFT LCD screens. We have more infos. That console is named m.u.g.s. 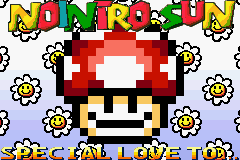 (most ugly gameboy successor). 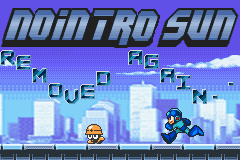 In the first screen you can play the game. In the second, the Mode7 intro "monkey eating the banana" will endless loop. GoodGBA has an impressive list of releases: they are considering to list every single combination of bits from 1Mbit to 256Mbits. GARP project wrote the dat of a new set: Pokemon Redump dat. The author is giving them a number, listing and catching them all. After the famicon collection a new system will appear on the GBA. xbox games will be wired directly in a new revolutionary cart. It needs a GBA-adaptor as big as the xbox. Rising Sun has already released Blinx Advance: really an early release! In Matrix Reloaded, Trinity used the SSH v1 exploit. 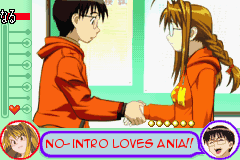 In the sequel, Matrix Removed, she cleans a scene release with coolhj's Gba Tool Advance. Neo explains: "The power of the GBA extends beyond this world. It reaches from here all the way back to where it came from: The Scene." Law is changing. It's illegal to use, download and share ROMs. You can have a copy of your game, but you can't do a dump of the cart. Well, black magic (c) is now the only solution to provide a legal backup dump. Voodoo kits (c) will be soon in stores. Today comes out a new version of VisualBoy Advance. It emulates network gaming, supporting virtual challenging friends and a lot of other things to keep always in use your Pentium. We discovered that all 256Mbits ROMs can be trimmed down to 1bit. 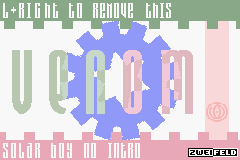 The fake disclaimer "erase your ROMs after 24 hours" was invented by a famous watch industry. NoIntro dudez have a life and are the real scene. Today will be dumped "Yu-Gi-Oh! - Just another set of cards (U) (M12)". Real sceners in this moment are using vt100. Next releases will be pre-cracked to let them play on toasts too. IRC channels are spreading, from today, flash cards instead of ROMs. We overtook #gbatemp channel. Eric says: RomCenter will be updated every day. Gbanow spreads today an internal beta of Sonic Advance 4. 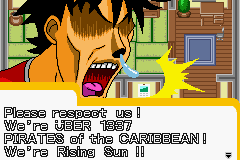 Cezar redumped tennis games, nuked again by a GBA conspiracy. Main GBA dat release #1437. Thanks to NGEfreak and lessram some names were changed. To all Italian users: add to your bookmarks gbarl.it! Main GBA dat release #1436. 27-mar-2004: Main GBA dat release #1435. 25-mar-2004: Main GBA dat release #1429. 21-mar-2004: Main GBA dat release #1424. 20-mar-2004: Main GBA dat release #1423. 19-mar-2004: Main GBA dat release #1420. 18-mar-2004: Main GBA dat release #1418. 11-mar-2004: Main GBA dat release #1413. 10-mar-2004: Main GBA dat release #1409. 09-mar-2004: Main GBA dat release #1408. Main GBA dat release #1404. 03-mar-2004: Main GBA dat release #1403. 29-feb-2004: Main GBA dat release #1399. New: SMS and SG-1000 (bigfred). 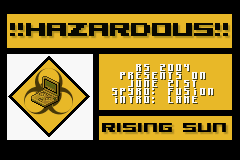 Rising Sun released a redump of #1394, fixing the audio. We added this new info (EF4D4C5E -> 98C27E8A) to dat. 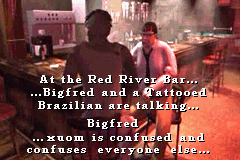 NGEfreak updated the WonderSwan dats, bigfred announced the work on a SMS dat. Main GBA dat release #1398. Main GBA dat release #1397. New: VisualBoy (bigfred, infos by frostgiant), WonderSwan and WonderSwan Color (NGEfreak). About #1388 and #1389: you can remove the intro with GBATA, but fill the end of the rom with #FF instead of #00. Redump of #1392 from klk (C1116E40 -> 7E46BB51), (bigfred). #1381, #1382, #1383 are overdumps (correct: 8Mbits) (5848884C, 5646F9D1, 65A67D75 -> CD2604DD, D0AEF472, F54EEB0E). In release #1385 it seems there is a modification, but we cleaned it (D84A216B -> 071C3F2B), (coolhj). Main GBA dat release #1395. 18-feb-2004: Main GBA dat release #1394. 17-feb-2004: Main GBA dat release #1385. 14-feb-2004: Main GBA dat release #1384. 12-feb-2004: Main GBA dat release #1380. Main GBA dat release #1376. The recent flame with some gbatemp-elite-members caused the temporary death of our IRC chan. Somewhere was written "There is the word trash in their name... How serious can you take em..."
zikronix returns, providing us as always good support, with a new channel. This crappy banner (:D) is here to announce that a new no-life dat is born! Thanks to SolidSnake the work on N64 begins. Main GBA dat release #1372. A lot of patches that remove the save fix were released by Dopefish! The list: #1195, 5EAF187A -> EA5ED4C0. #1226, 8B52E6C6 -> 1F5149BC. #1232, 69D8F701 -> 0C043BA6. #1241, E7BDD0AC -> 4068FED9. #1332, 51A31204 -> E2D94B0D. #1244, 8D3DBF7F -> 13ADBF3B. #1249, 376B9BAE -> 0E38108B. After the redump of #0691 we consider the first dump (DCBD5A86) a beta, and the second (FE3E6769) the clean one. So GBA Beta dat was updated, but that the beta needs to be fixed too. NGEfreak brings us two patches: #0691 beta (DCBD5A86 -> 38D896BD), #1293 (50942D64 -> 03925772). Main GBA dat release #1367. Main GBA dat release #1363. #0691 redumped (DCBD5A86 -> FE3E6769). Main GBA dat release #1358. GBA Tool Advance, the incredible all-in-one GBA tool coded by coolhj and hosted on this site, has been updated! More publisher (maker) can be detected. Support Drag & Dorp file to application. Main GBA dat release #1357. 17-jan-2004: Main GBA dat release #1355. 13-jan-2004: Main GBA dat release #1352. 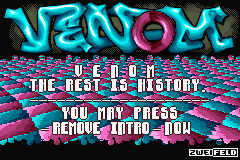 BigFred removed pirate intro from a Venom's GBC release. 08-jan-2004: Main GBA dat release #1351. 07-jan-2004: Main GBA dat release #1350. 06-jan-2004: Main GBA dat release #1349. 03-jan-2004: Main GBA dat release #1348. 02-jan-2004: Main GBA dat release #1346. Added the "languages" info in the dat, according to all other GBX sets.